Metal roofs are rising in popularity among homeowners not just because they serve as alternatives to other roofing materials like asphalt shingles and wood shakes. They are also considered green roofing solutions for their unmistakable quality: energy efficiency. 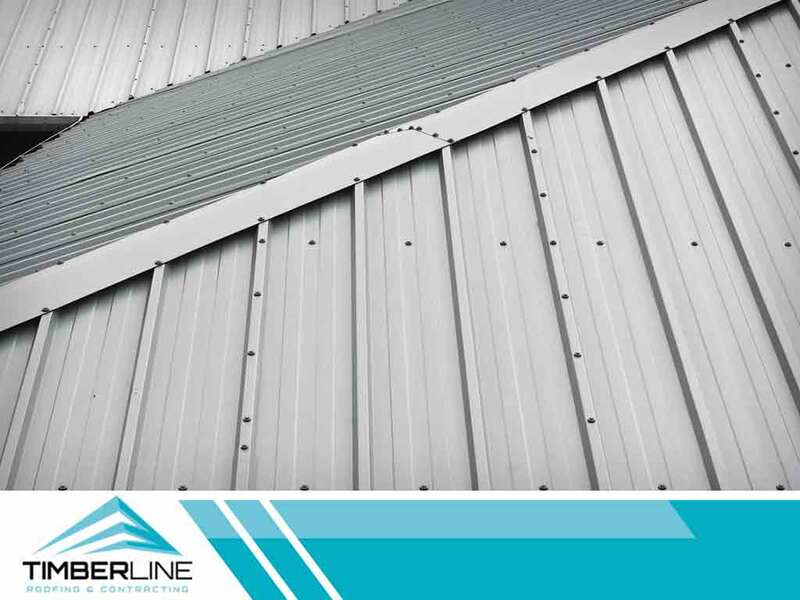 In today’s blog, Timberline Roofing and Contracting, your expert roofing contractor in the area, discusses the important features of metal roofs that make them energy-efficient. Apart from being resistant to fire and being impervious to pests and the ravages of Nature, metal roofs have energy-saving features that can help homeowners save on their energy expenses. Research backs this up—metal roofs have high solar reflectivity enough to reduce the effects of urban heat islands. The added coatings and finishes on these materials also influence the roofs’ ability to reflect heat off the home. Conventional knowledge states that lighter colors tend to deflect heat more than darker ones. The same concept applies to metal roofs. It is the reason why such roofs coated with white or lighter-colored hues are often preferred. They not only reduce energy spending by 20 percent, but they also make the home 50 to 60 percent cooler than darker-colored roofs. Another reason to pursue metal roofing for a residential roof installation project involves the flexibility of the material. This distinct quality allows for easy installation of solar panels. These systems can even have attachments for this purpose. Apart from being energy-efficient, metal is a low-maintenance roofing material. It doesn’t require as much upkeep, though it is still imperative to keep it well-maintained to ensure its longevity and performance. Such a roof can expect to last as long as a tile or slate roof, thanks to its exceptional durability and weather resistance. At Timberline Roofing and Contracting, our goal is to give you complete satisfaction for the services we offer. Whether it is a residential or commercial roof repair or installation, expect our professionals to deliver. Give us a call at (612) 263-9700 if you are in White Bear Lake or (507) 200-8880 if you are in Austin, or text us at (612) 470-7145 to get started. You may also fill out our contact form to request a free, in-home estimate. We serve residents of Minneapolis, MN, and surrounding areas.